There is a hidden garden bordering the grounds of Jane Steward's book-themed resort-a garden filled with beautiful but deadly plants such as mandrake and nightshade. Tucked away behind ivy-covered walls and accessible only through a single locked door, as described in the pages of Frances Hodges Burnett's classic novel, the garden is of special interest to Jane's current group of guests, the Medieval Herbalists. 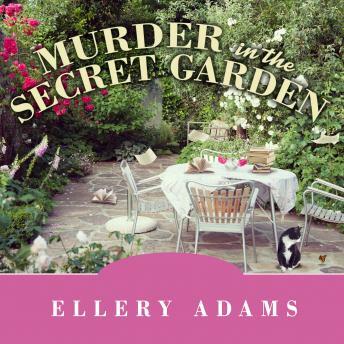 But when one of them turns up dead, Jane must discover whether a member of the group has come to Storyton Hall to celebrate their passion for plant lore or to implement a particularly cruel means for murder. With thousands of books at her disposal, Jane believes that she has the proper materials to solve this deadly problem. If she's wrong, however, she may lose something far more precious than the contents of Storyton's secret library . . .